Relax4Life is an environmentally aware, fragrance and chemical-free holistic education and services center located on 5 wooded acres in Barrington, Illinois. Celebrating our 20th anniversary with over 30,000 students taught, We offer our workshops to both CEU-seeking professionals as well as the general public looking for professional and/or personal enrichment and the companionship of like-minded others. Our 1000 square foot carpeted seminar room overlooks three outdoor walking labyrinths, a pond and waterfall. 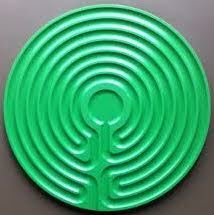 This provides a peaceful, nature-rich venue for optimal learning. Topics include: Mindfulness, Relaxation and Meditation, Labyrinths, Oriental Health practices, EFT, Reiki, Quantum-Touch, Animal Communication, Shamanism and more. Our services include: Reiki and Quantum-Touch therapy, Holistic Psychotherapy and Minister services for weddings and other ceremonies. 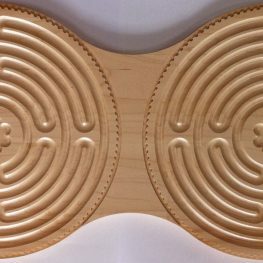 We also design and create a unique and affordable line of wood and plastic finger labyrinths and other labyrinth gift items.